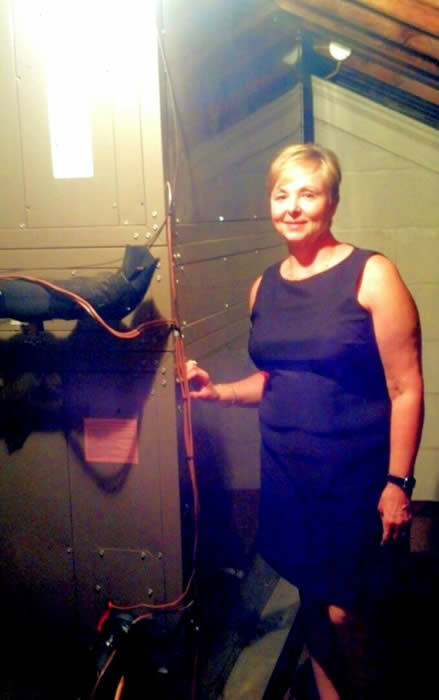 When Barbara Norman, General Manager of the Westminster Riding Club (WRC) realized she’d have to replace the WRC’s aging HVAC system, the prohibitively high costs sent her reeling. “I knew the time was coming for a new system but replacing the coil alone was going to cost $9,000,” Norman recalled. A quick Google search for “grants for energy projects” referred her to MEA’s Jane E. Lawton Conservation Loan Program. Eagerly, she scanned the page’s information and immediately called, Lawton Loan Program Manager, Dan Bresette. With a lack of air conditioning, Norman was flustered and nervous with the prospect of losing business for WRC’s event venue. As it turns out, WRC was a prime candidate for a Lawton Loan. Recently, the WRC had their new HVAC installed and Norman couldn’t be more pleased. She knew about energy efficiency ratings for HVAC in residential contexts mostly because of cost savings and she felt good about upgrading to a state of the art system with great savings reviews. The Lawton Loan program offered her a competitive 2.5% loan. The new heating and cooling system works much better than the old one and it provides an unparalleled comfort level that keeps the event venue heated and cooled appropriately. While discussing the project with contractors, Norman realized that she could reveal even more savings by replacing her traditional light bulbs with LED’s. Norman and WRC’s membership couldn’t be happier with the investment. “It was such a win-win to have an affordable energy efficiency project installed and to also identify other projects where we can save money. It’s also such a relief to have confidence when we I rent the hall to brides and other social events…it’s just feels so good!” She encourages other like-minded non-profit organizations and businesses to pursue energy efficiency audits and projects like WRC’s. With confidence and determination, and the technical expertise of the Maryland Energy Administration guiding her through the project, Norman is positive that other Marylanders will have energy efficiency financing success.